Once a year in November, my girlfriend, Rhonda (who I met in college) and I meet in Palm Springs to celebrate our birthdays and have a girlfriend weekend. After college we moved from Oregon to the Los Angeles area together. We have been meeting in Palm Springs since she moved to Arizona. I think we are going on 15 years! WOW! We always have such a great time, we talk, talk, talk and run around and shop, soak up some sun, chill by the pool and usually try to see some of the sights. We always run out of time! HA! This was the first time we saw the ‘Forever Marilyn’ sculpture by artist Seward Johnson. The bronze and stainless steel sculpture is 26 feet tall and weighs 34,300 lbs. The sculpture was created in Chicago and debuted there on July 15, 2011 and then made its way across the states to Palm Springs arriving in May, 2012. We decided to stop and take pictures (with our cell phones) one evening on the way back to our hotel. The sculpture was HUGE! People standing under it were about as tall as her ankle. 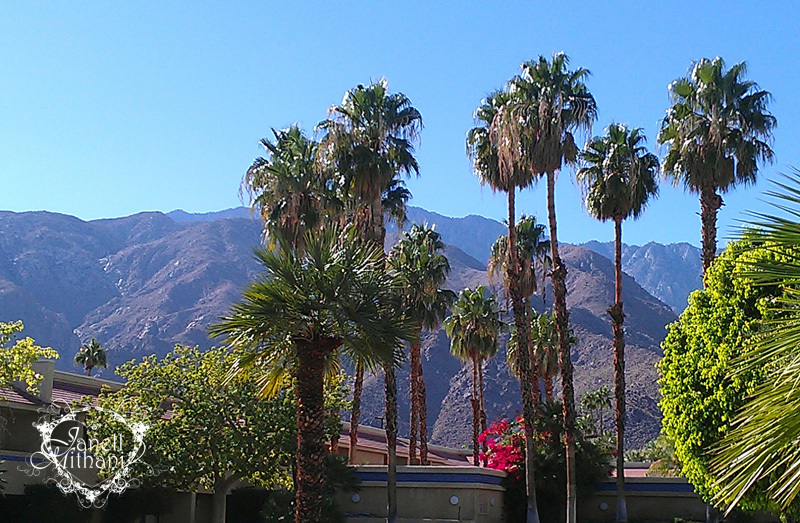 This is the view of the mountains and palm trees from our hotel. I know a lot of my blogger friends have been posting pictures of snow and very cold weather, so I was thinking of all you when I took this picture. 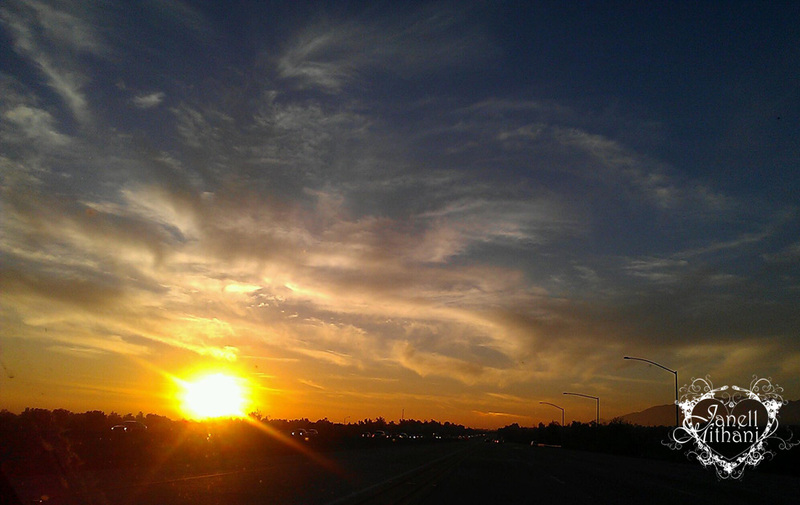 This was my view on the drive home. A great ending to a beautiful weekend! This entry was posted in Art and Women and tagged art, girlfriends, Marilyn Monroe, Palm Springs, palm tree, women. Bookmark the permalink. Loved this…loved your photos..especially of you and Rhonda!! Sure looks like you girls had a wonderful time! Happy belated Birthday! 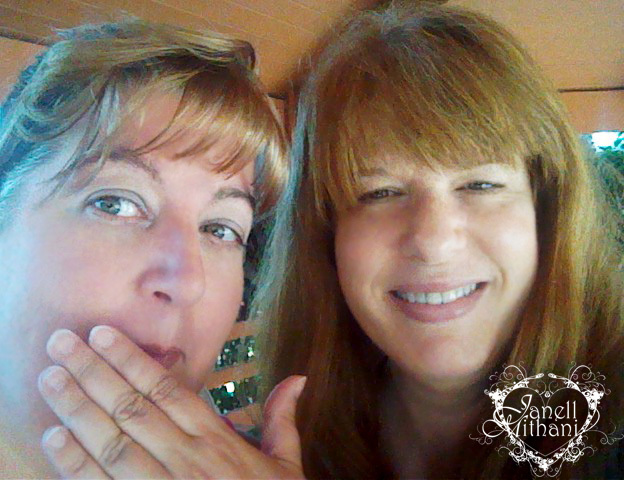 How wonderful to have such a friend and such weekends of fun together! I didn’t even realize this sculpture existed! It is beautiful!